I went to church this morning and was asked to do one of the readings at the service, which was great. I really enjoyed it and got a nice compliment from the elderly woman sitting next to me. 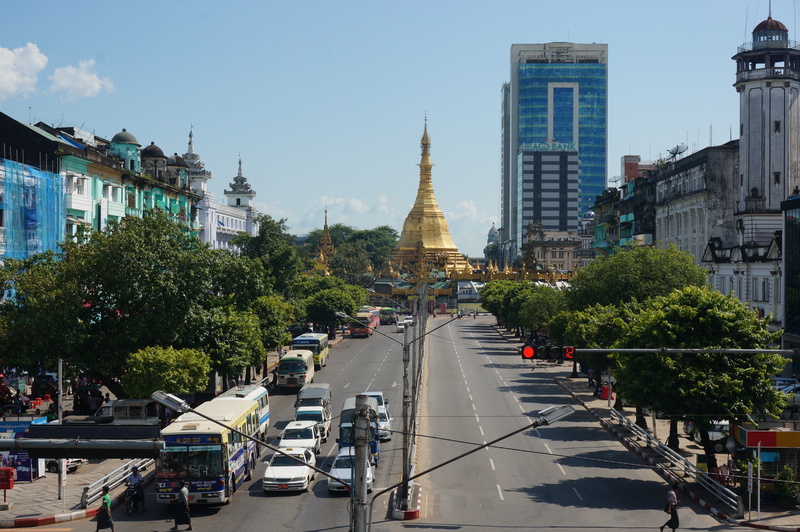 I am meeting a friend from MIT who is coming to Yangon for work this week. We are meeting in the downtown area, so I took some time to do some exploring. I spent some time in a park, which was nice. I saw many people on smartphones, as well as some groups of friends, and couples enjoying the weather. I took this picture while I was on an overpass. 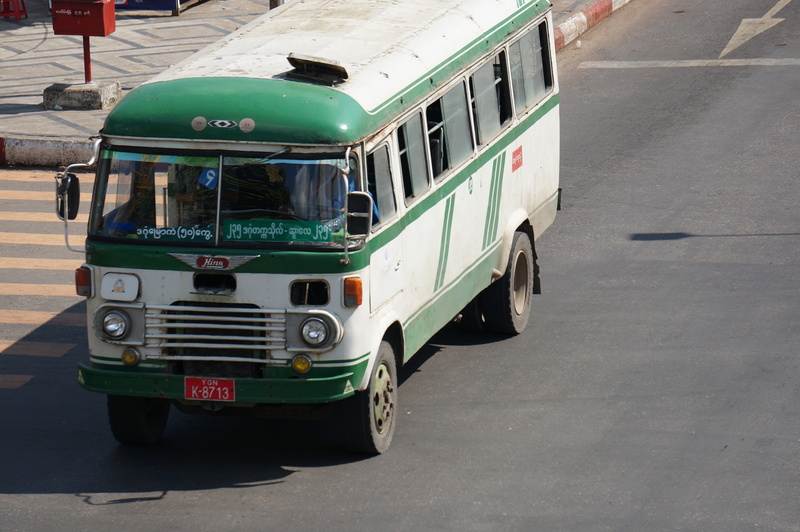 While there I also took a picture of one of the buses. These vehicles still amaze me (some are so old).